The growth of esports has been phenomenal over the last 10 years, from a niche sector to a global industry which shows no obvious signs of slowing down. Some of the figures are staggering, global audiences in the region of 500 million, $13 billion in turnover, by the turn of 2020. Fortunately, you don’t have to be an accountant to understand these figures mean esports should be taken very seriously. Small wonder then, that operators are keen to make esports betting a key part of their sportsbook offering. To date despite the huge figures seen elsewhere in the esports market, betting hasn’t quite matched the pace. Many operators have reported huge growth in the vertical but to date very few have made a good margin from a product which should be helping them attract a new audience. Our extensive customer and bettor research over the last year pointed to a number of barriers that were halting the growth of esports betting. The first and possibly the most important one was that current sports bettors find the majority of esports game formats unfamiliar. Tournaments can take hours to complete and offer markets such as “Next Map Winner” which for many has little meaning, we all know that bettors like to feel informed before placing a bet. For esports betting to really take off operators need esports tournaments and related user experience to be optimised for betting rather than wider esports community as the majority currently are. The second barrier that came up was the lack of live event streaming on sportsbook websites which means that bettors are having to keep moving between tabs on their browsers from live streams to their chosen sportsbook to place a bet. When you consider the prevalence of mobile betting you can understand why this has such an impact on the betting experience. The third barrier that was raised was around the integrity of events which is critical to the long term success of any sportsbook product. Taking all the findings of our research on board has helped us address them all and create what we believe to be the first esports betting product built specifically for sportsbooks which features live streamed head-to-head matchups between qualified gamers. Each match is designed for short-form betting with quick-fire events with pre-match and in-play betting opportunities that are familiar to current sports bettors and attractive to esports bettors. 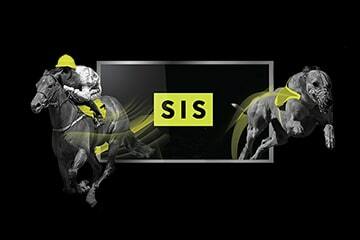 At SIS, we’ve also improved the intrinsic UX, with no paywall in front of these head-to-head matches utilising our proven revenue increasing ‘Watch and Bet’ model which keeps bettors engaged for longer, particularly when complemented by on-screen calls to action which dramatically increase conversion-to-bet rates. c.15,000 events will now be broadcast live across 2019, with matches initially scheduled to fill the quieter times of the day for sportsbooks. It’s an innovative approach and something that hasn’t been seen before within the esports betting sector. The importance of integrity is also very important and remains at the very foundation of SIS Competitive Gaming. Which is why the importance of integrity remains at the very foundation of SIS Competitive Gaming. We work closely with the Esports Integrity Coalition (ESIC) to ensure fair play and transparency of our events. Our team of expert esports traders, coupled with unique proprietary trading models, deliver dependable pricing at all times for total peace of mind. : Esports is continuing to grow, and we believe that our ground-breaking esports betting product can help step-change the betting vertical.